Have you ever noticed how God loves to turn awful things around for our good? But I found out that healing after betrayal is possible, because God healed me. It took some time, and during that time God led me through 3 very specific steps to heal me from this betrayal. Then, after a number of weeks, something really weird happened (read about it here in 3 Things I Learned From Surviving a Mockingbird Attack), and God used that weird experience to heal me instantly from all the remaining pain. THANK YOU, HOLY SPIRIT! But you know what the funniest thing is? 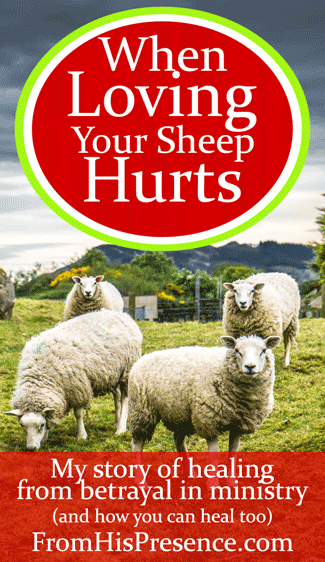 Out of that experience of deep betrayal, pain, and HEALING, God gave me an article called “When Loving Your Sheep Hurts.” And that article was published today on Christianity Today’s online magazine called Gifted For Leadership. He healed me completely and now I am shepherding my flock with more love and passion than ever before. Best of all… the enemy wanted to take down one leader (me) with that experience, BUT GOD is going to use my story to minister to AND HEAL who knows how many other leaders who have experienced betrayal as well. So what the enemy intended for evil, God turned around for my good… and He’ll do the same for you. ALL THINGS work together for our good. Whether you’re enduring a financial situation, difficulties in your relationships, a tough job situation, or anything else, God can turn it around. What awful situation are you enduring today that you need God to turn around for your good? Always ask Him to cleanse your heart first, to make sure you have right motives and a pure heart. Then ask Him to vindicate you and advocate for you. Ask Him to get justice for you (Luke 18:1-8). Ask Him to deliver you out of your situation and HONOR you! Ask Him to restore and reward you double for your trouble (Isaiah 61:7)! Instead of your shame you shall have double honor, and instead of confusion they shall rejoice in their portion. Therefore in their land they shall possess double; everlasting joy shall be theirs” (Isaiah 61:7). 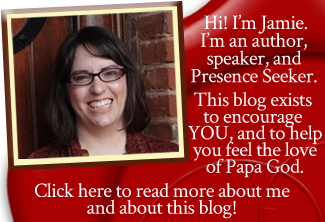 Please click here to read my article, When Loving Your Sheep Hurts, over on Gifted for Leadership! Image courtesy of Giuseppe Milo on Flickr.